Creating the drawings of the animation and designing the characters is not enough to make a perfect 3D animated video, game or any project model visualization until it goes through the final stage of rendering. In the rendering process, all the calculations are incorporated to convert the 3D models into proper 3D animated games, architectural visualizations, images or movies. Since 3D rendering has become the most fundamental part of industries, a large number of 3D rendering tools has been introduced to that are used widely in various 3d rendering studio, in order to develop the most eye-catching 3D render the animation. Sometimes it gets challenging for the experts to select which tool to use to create the best 3D animated movies, videos, visualizations, models, images, web designs, and games. To help them, a list of some handy tools has been listed down to assist the professional animators and designers in creating different 3D projects efficiently and skillfully. If anyone is looking for the best platform to create the architectural designs and rendering projects in the lowest price, then FluidRay is the best and most affordable solution for them to showcase their talent creating awe-inspiring 3D models and architectures. It is an unbiased 3D rendering and animation tool that can be integrated with many professional and popular 3D software and enables the user to create the architectural visualization and industrial project designs in high quality. Guerilla Render has been used in the professional animation studio to make some of the blockbuster feature films. It offers a progressive rendering viewport for the users to keep track of the rendering and observe the entire process as it goes on. It is easy to create the photorealistic images and models by integrating this tool with Autodesk 3D Maya. Iray is also one of the very affordable solutions for the beginner level animators and renderers to create 3D architectural models and visualizations like a pro. It offers a great platform for users with less knowledge about rendering to get into gear and practice until their skills get sharpen up. Lumion can easily be integrated with the CAD software to offer the users a pleasant experience to create 3D rendering animation like a pro. It provides a podium for the designers and animators to design and render in-house and develop the project in high resolution. LuxRender is free of cost biased and unbiased software that uses GPU to enable the designers and renderers to do the rendering efficiently along with the excellent quality and photorealistic effects. It also serves a wide range of impressive features for the user for special effects and architectural visualization. Maxwell Render is primarily intended to fulfill the requirements of architectural visualization. It enables the user to create the visuals with a high degree of photorealism. It is an excellent and most suitable tool for architects to develop an architectural model with ease. 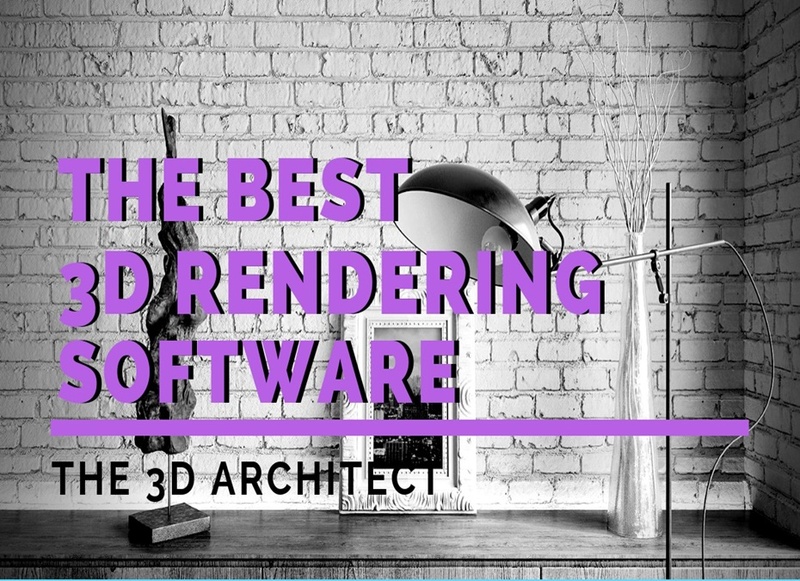 It is true that the tool is an unbiased render, but it surely serves the users to do the rendering of 3D models and architectural visualizations in a good speed alongside with the quality, as the tool uses NVidia graphics card (GPU) rather than CPU like other unbiased tools. It uses NVidia’s graphics card (GPU) and also CPU to allow the users to render at the highest possible speed along with the quality. It is built on the NVidia’s own CUDA technology to allow the renderers to achieve physically accurate renders. This is the most appropriate tool is anyone is in search of the 3D rendering tool for VFX. Also, it does not cost a lot and comes in affordable packages so that anyone can have it.